Arcadia (def: Imagined place of rural bliss) is a stylish and comfortable 4/5 bedroom house with 5 bathrooms. 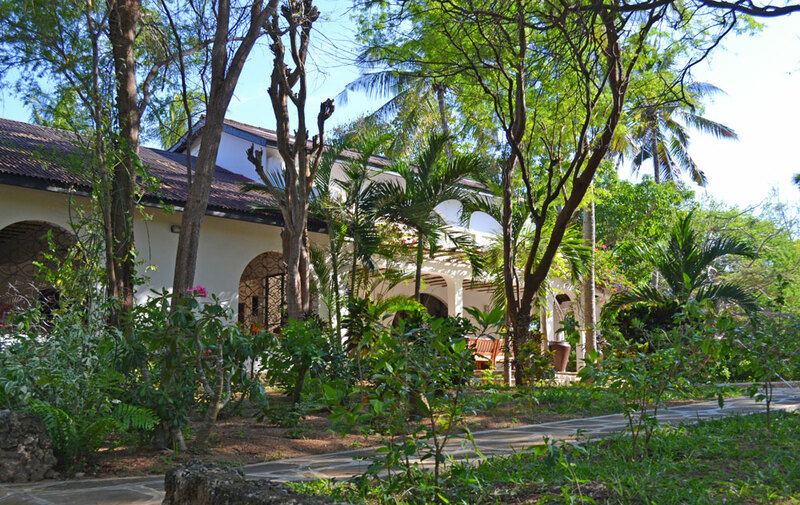 Set in a private garden of one acre, the house is situated on a beach access road only a minute's walk from the white sandy beach of Watamu Marine Park. There is a large pool flanked with various seating areas, including a kingsize makuti-shaded double bed, ideal to relax and watch the children in the pool. The house includes a master bedroom upstairs with a fantastic 8ft wide Master bed, large ensuite bathroom and a separate kids sleeping area off it. The master bedroom has it's own private balcony with a further double bed on it. 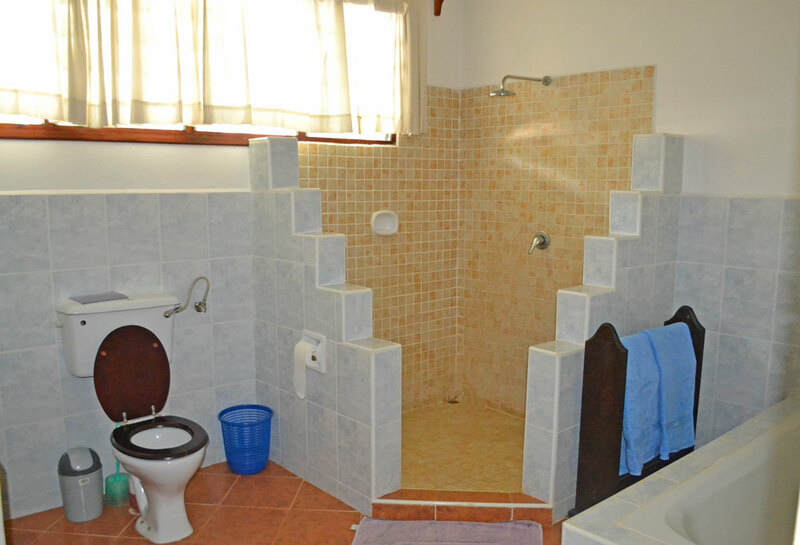 Downstairs are three further bedrooms, two double and one twin - all with ensuite bathrooms. 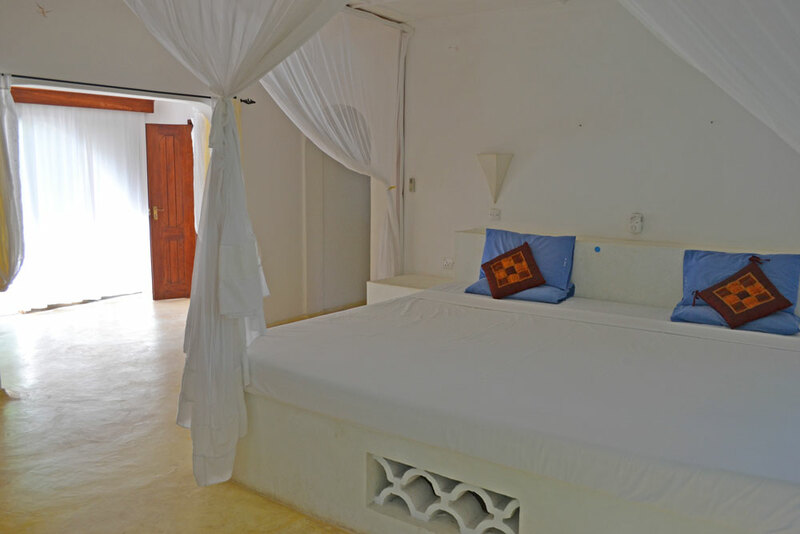 All four bedrooms have air-conditioning, mosquito nets and overhead fans. The kitchen is modern and open - separated by a breakfast bar from an area with pool table and plenty of seating. A further living room with a bar leads to a TV room where another double bed that can be used as a 5th bedroom if necessary. The TV has satellite TV (additional charge) and DVD player (discs not supplied). The house is fully staffed including a cook, and G4S security buttons. 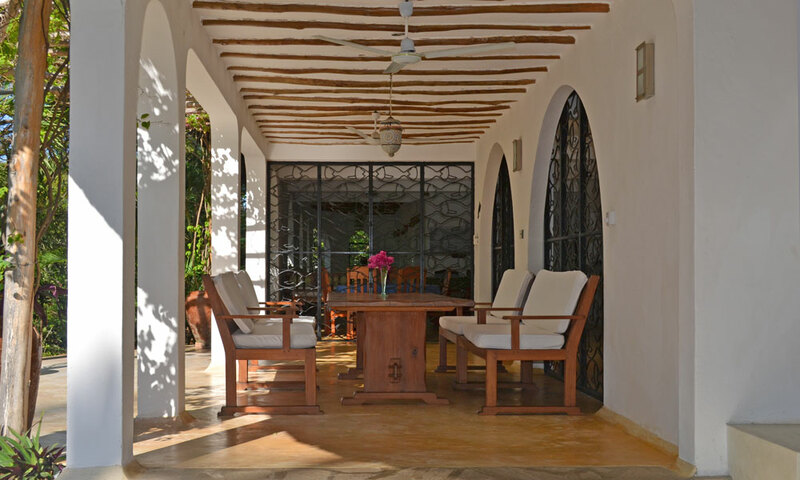 The house is staffed with a housekeeper, cook and a poolman/gardener and night watchman. There is a backup generator during power cuts. 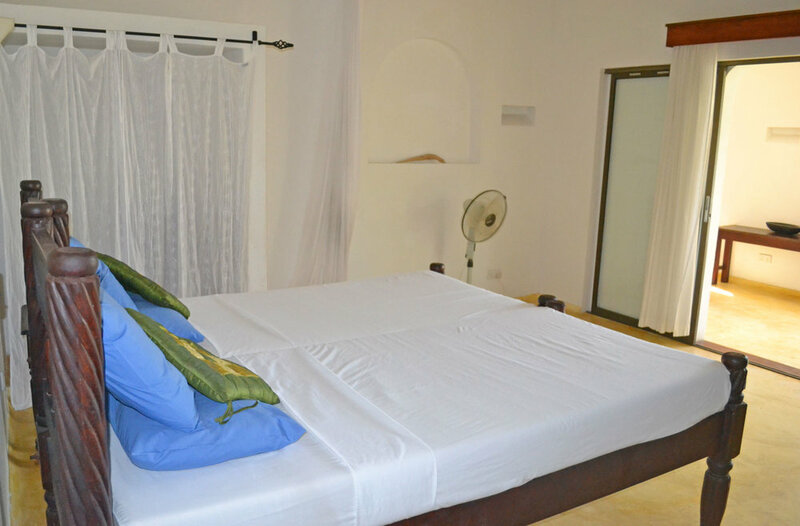 OFF MASTER BEDROOM (First Floor) 2 x small child beds Fitted Mosquito net – Overhead Fan – Air-conditioning from master bedroom.